Bassem Hassan is a world-renowned neuroscientist whose work has the potential to shed invaluable light on mechanisms of brain development and evolution. He uses the fruit fly “Drosophila” as a model system to deconstruct the genetic code of neurons. The driving motivation of his research is …. poetry! At the beginning of his career, he asked himself whether he should rather become a poet than a scientist. Luckily he decided for science and for poetry. He always wanted to decipher the language in which nature writes her poems. “There is poetry in biology in both its form and content, and the pursuit of that beauty is both rigorously rational and emotionally uplifting”, says Hassan. 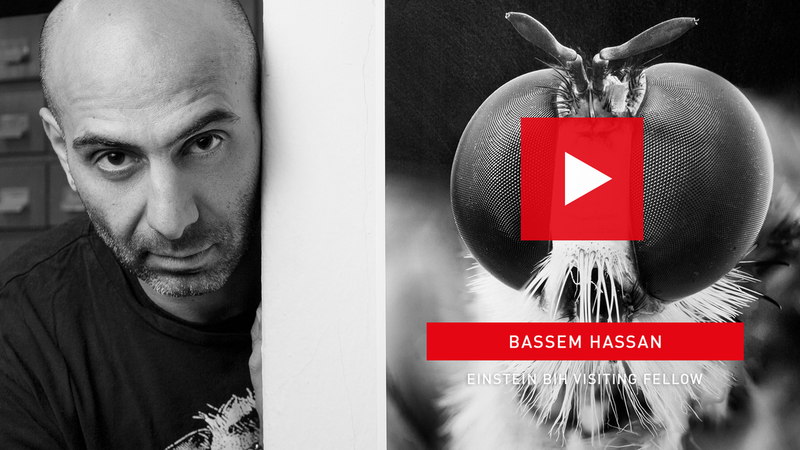 Join Bassem Hassan on his stunning tour through the neurodevelopmental basis of individuality and discover the connection between poetry and biology. 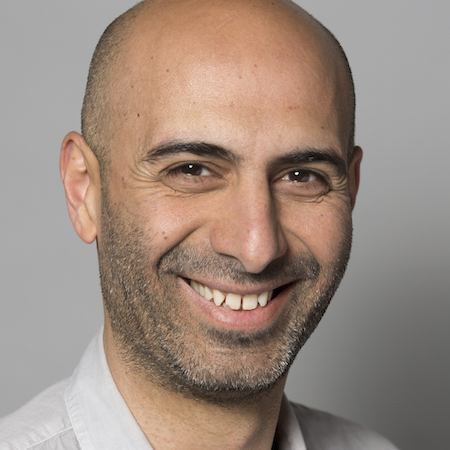 Bassem Hassan is head of the “Brain Development” team at the ICM Brain & Spine Institute in Paris. After obtaining his PhD in molecular genetics at Ohio University in 1996, he completed his post-doctorate at Baylor College of Medicine in Houston, Texas. From 2001 to 2015, he was senior group leader at “VIB Center for the Biology of Disease” and Professor at the “Center for Human Genetics” at the University of Leuven in Belgium. In 2016 he was named Allen Distinguished Investigator by the Paul G. Allen Frontiers Group. Since 2016 he has been funded by Stiftung Charité as “Einstein BIH Visiting Fellow” at the Berlin Institute of Health (BIH) and the Freie Universität Berlin. The event will be moderated by Dr Herbert Grieshop. Herbert Grieshop is Director of the Center for International Cooperation at the Freie Universität Berlin. He regularly publishes the video blog “Herbert liest“ with an own You Tube-Fanpage. .... interesting dialogue partners of Berlin-based or international institutions. Every year during eleven days in September the International Literature Festival Berlin presents contemporary authors from all over the world. In 2016 the festival established the new category “Science and the Humanities“.